This page is for those who want the instructions to fold Lovely Rose. 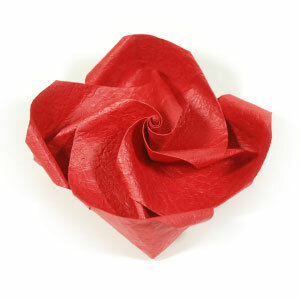 This origami rose may not be simple to fold since it is not from the bird-base. But I am showing this rose since it is inherited from a base which is similar to the regular bird-base folding sequence. 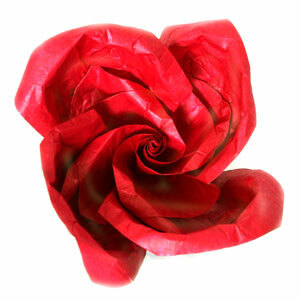 This is the same rose folded by Ádám.